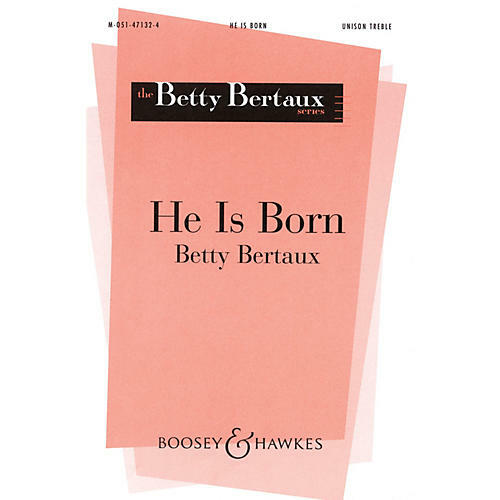 While He is Born (Il est né) is suitably performed by a unison group of singers of any age, this arrangement was first performed in 1997 by the first grade class of Corpus Christi School in Piedmont, California. There are several musical concepts and skills that can be exercised during the rehearsal of the piece. Such elements as form, tonality, melody, meter, rhythm, harmony, dynamics, theory and expressiveness can all be explored through listening, thinking, movement and solfa.